High Quality Content by WIKIPEDIA articles! 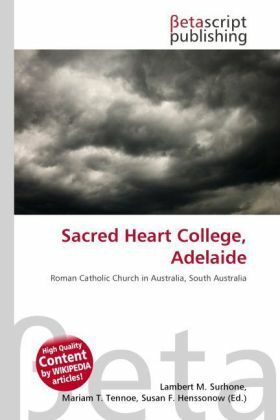 Sacred Heart College (also referred to as Sacred Heart College Senior - in order to distinguish it from the middle school of the same name - or simply Sacred Heart) is a Catholic school in the Adelaide beachside suburb of Somerton Park, South Australia. The college is a coeducational school catering for students in years 10 to 12. Sacred Heart is renowned for its strong Australian rules football teams, and has an annual Intercollegiate match against its cross-town rival, Rostrevor College and is a notable event on the South Australian high school sports calendar.